WoWgamer -> View topic - Hmm, anyone know about this? Topic Hmm, anyone know about this? 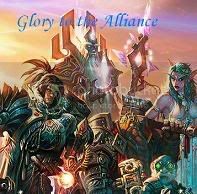 Adnaw of Argent Dawn has released an rp announcement relating to his guild which I read as meaning the pre expansion events begin tonight, anyone know anything about it? Wow.com is badly US-centric in their newsposts, usually they just ignore EU unless there is something scandalous happened. Anyhow, if it started in US today, it means we will have it tomorrow most likely. The Alliance will pay their debt to the gnomes. For the Alliance!